Copy on to thin card and cut out the pictures. 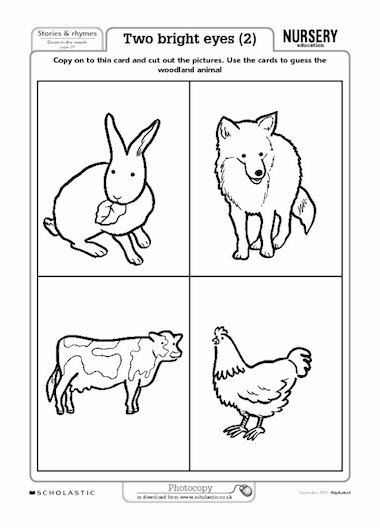 Use the cards to get children to guess the woodland animal. See linked resource.